Pacman had suffered a catastrophic engine failure that completely destroyed his left General Electric F-404-400 EPE powerplant. A piece of ‘FOD’ — ‘foreign object damage’ in the ‘meh’ vernacular of the military — had been ingested by the Hornet, just 50 feet off the deck, seconds after he got airborne to begin his solo display at the 15th edition of the Langkawi International Maritime and Aerospace (Lima 2019) exhibition. Now, the very next day, Major Goh Keng Loon and his Weapons Systems Officer or Whizzo, Major Mohd Izhar Mohd Tarmizi, are plugging the ‘burners’, throwing their little ship into ‘The Dirty Roll’ — with the landing gear, trailing edge flaps and slats all hanging out — and then ‘cleaning up’ the strike fighter and reefing it into the vertical in a max-G climb, grabbing sky like a homesick angel going home to mama. The crowd watching the display by Pacman and Crawler of 18 Squadron, ‘The Mighty Hornets’, would never have guessed that the two had come within an eyelash of punching out of their jet just a day earlier, judging by the way they were throwing their Hornet all over the sky. Lima is often billed as Malaysia’s coming out party in the world of aerospace and defence. With the phalanx of modern, state-of-the-art aircraft dotting the flightline, and in the background, smoke and vapour trails from fighters crisscrossing Langkawi’s azure skies, it’s easy to be enamoured by the allure of all the high-tech wizardry of modern precision-guided weapons and autonomously-operated combat vehicles. But Lima 2019 was very much different. This time around, the stars of the show were the men and women whom we call upon when things get ugly. Watching the ground crews, aircraft technicians, and ‘ordies’ (ordnance men) toiling, often under the brutal and unforgiving sun, was a lesson in humility. Intakes are checked and rechecked for FOD, Perspex canopies are polished again and again so that the flight crews have a clear view of the outside world, and the large, collimated head-up-displays (HUD) are rubbed down with wipes so that the airspeed and altitude readouts are unimpeded by smudges or stray fingerprints. Control surfaces are put through the ringer so that if the pilot calls for max deflection, the jet will give him that 370 degrees of roll per second that he badly needs. “It won’t fail because of what I do,” said a Sukhoi Su-30MKM Flanker keeper with pride. Air Force chief General Tan Sri Affendi Buang said the ‘Can Do’ spirit has been part of the air force culture from Day One. New Zealanders call it ‘The No 8 Wire’ mentality. This refers to Kiwi ingenuity and resourcefulness; a can-do attitude and ability to think laterally to solve a problem. Whatever the phraseology, it is in abundance in the RMAF. “It’s also about the guy next to you,” he said. 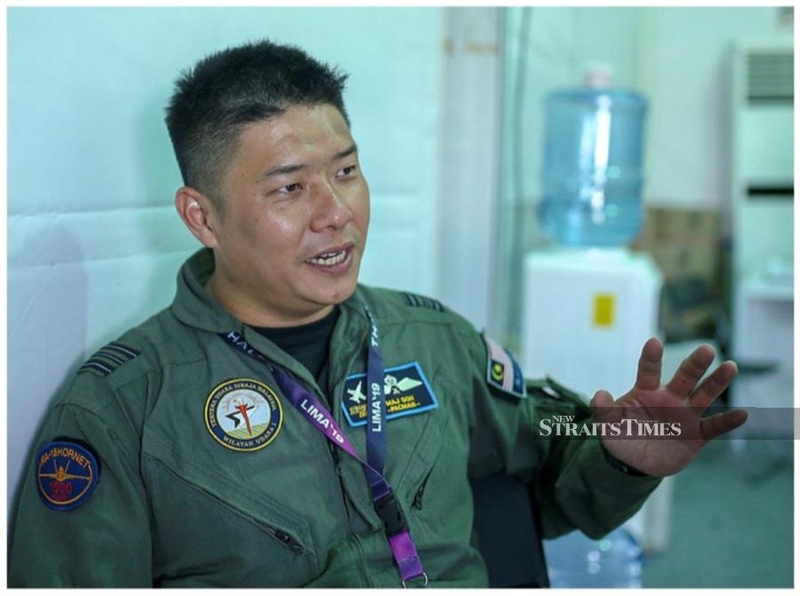 Affendi, who rose through the ranks to command 17/19 Squadron, flying the much-vaunted Mikoyan MiG-29N Fulcrum, and eventually becoming RMAF chief, saw this single-minded dedication firsthand throughout his 38-year career. “The maintainers work round the clock, sometimes right through the night, to make sure that we launch on time. Every time. He’s especially proud of his commanders, his squadron COs. Guys like the CO of 11 Squadron, Lt Col Faizal Abu Bakar or ‘Fab’, who, together with his opposite number from 18 Squadron, Lt Col Abdul Rahim Jusoh, callsign ‘Blade’, had put together a throat-grabbing, chest-pounding eight-minute display for Lima 2019, showcasing the RMAF’s premier multirole combat aircraft (MRCA), the Flanker and the Hornet. Men like ‘John’ — Lt Col Yusrizal Zain, the CO of 22 Squadron, who relishes throwing around his mount, the colossal Airbus A400M Atlas tactical military transport, all over the sky. His pitch-up manoeuvre, at 50 degrees AoA or ‘alpha’, is something to behold. 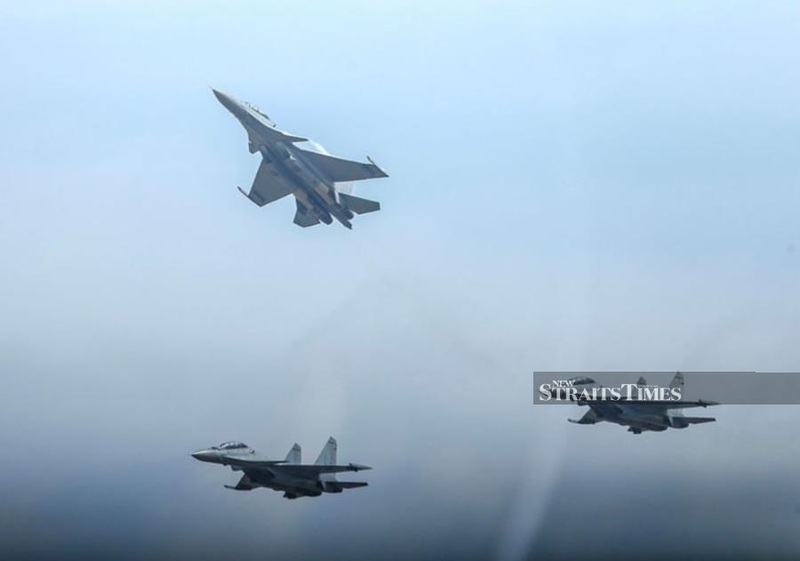 “Every time I see him haul back on the yoke and pitch up like that, I get nervous!” quipped Flanker driver and Langkawi’s own, Lt Col Mohd Norazan Othman, callsign ‘Sting’. A graduate of Canada’s International Test Pilot School in Ontario, Norazan’s forte is throwing his huge, 25-tonne jet around the sky and changing vector like a housefly. It’s enough to make legends like Pugachev, Kvotchur, Frolov and Menitsky go “Oхренеть”. The government’s plan to roll out a Defence White Paper is timely; some say it is long overdue. But the overriding concern should be on the nation’s finest; the men and women we count on to do our bidding when the time comes. We owe it to guys like Barry, Mantan, Fab, Blade, Calmdil, John, Pmad, Sting, Mickey, Pacman, JD, Doc, Arrow, JBorg, Crawler, Faitee, Oset, Pointer, Maenerd, Monk, Fido, Thor, Botank, Havoc, and many others, to give them the right tools to carry out their mission. And come home safe. “I have leaders who lead from the front,” Affendi said quietly in a rare moment of introspection. He has been to one too many funerals. We owe it to these men to get it right.